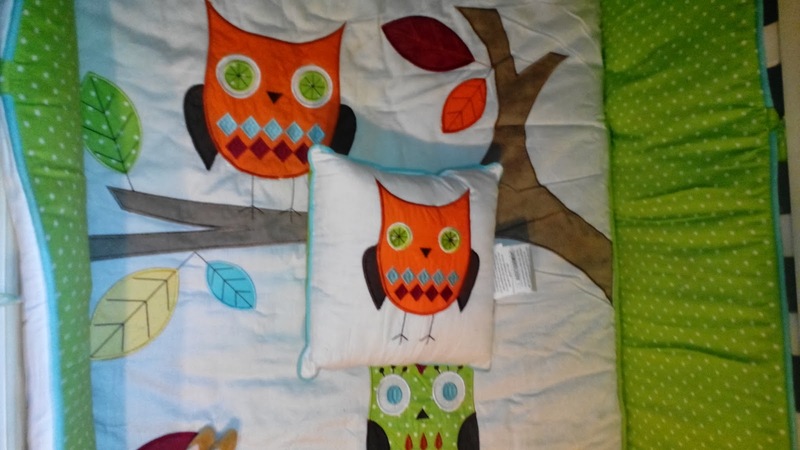 Beyond Bedding sent us their turquoise and lime hooty owl baby bedding 9 pc crib set. 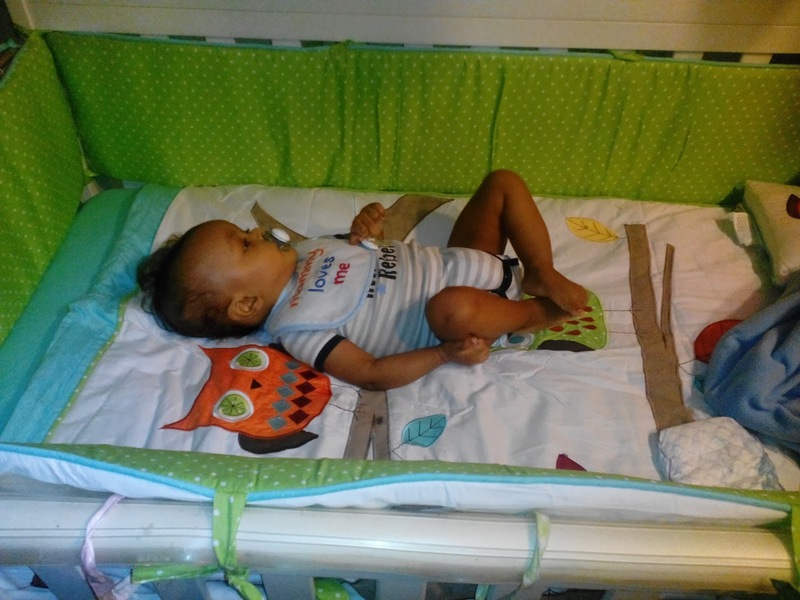 Our son is happy to lay on his crib. He really likes the green and white poca-dots bumper colors. He kept grabbing on it. We like that our crib bedding set is neutral for boys/girls. We chose the neutral bedding just in case, within a year or two. We have our last child. It really is a complete crib bedding set. The crib bedding set has been created with a great stitch quality. The price is right for all the items in the bag. Beyond Bedding has made a happy boy. 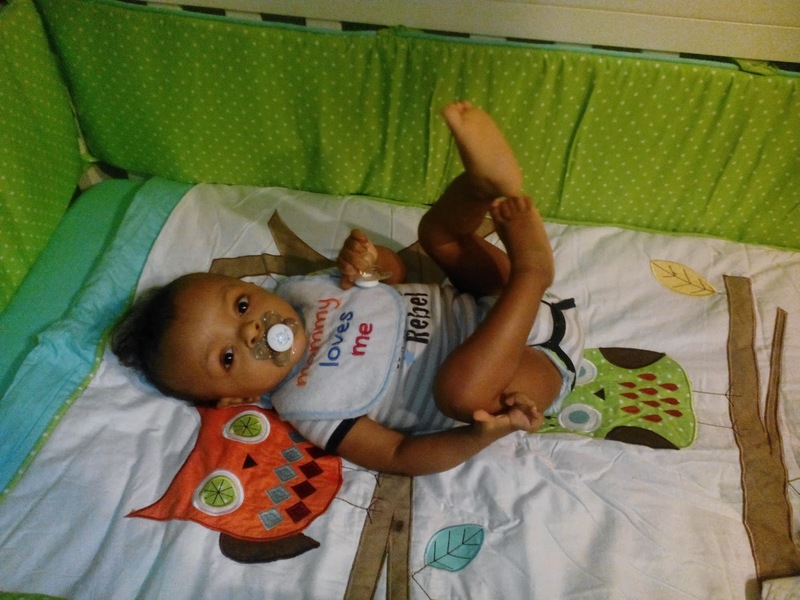 Davin is relaxed on with his new bedding set. He's safe, secure and comfortable. He gets his wonderful and restful sleep at night. Beyond Bedding really comes through for our son. 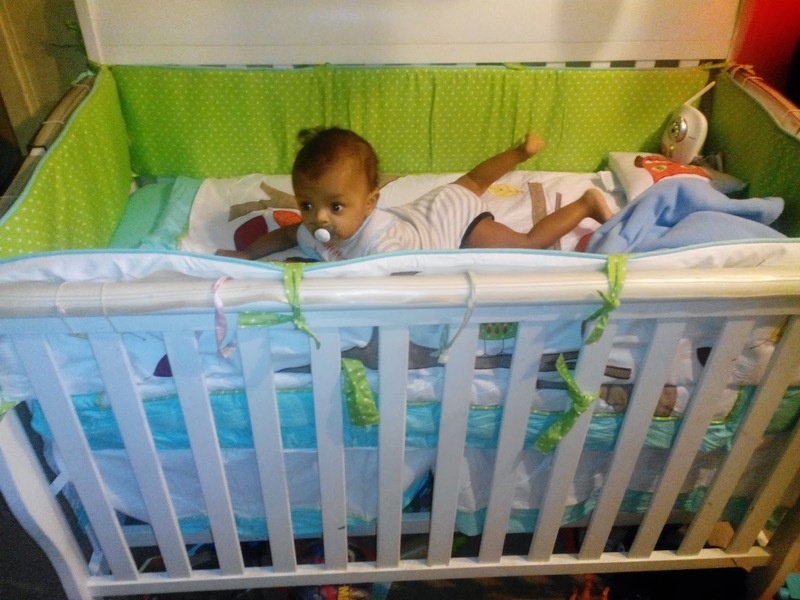 The 9 pc crib set is hands up from our family to yours. We want the accessory that was not included in the set. 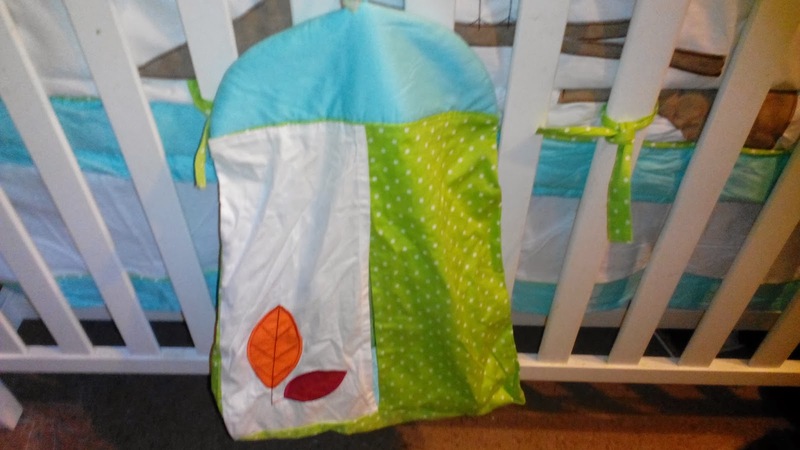 The turquoise and lime hooty owl musical baby crib mobile is so cute! 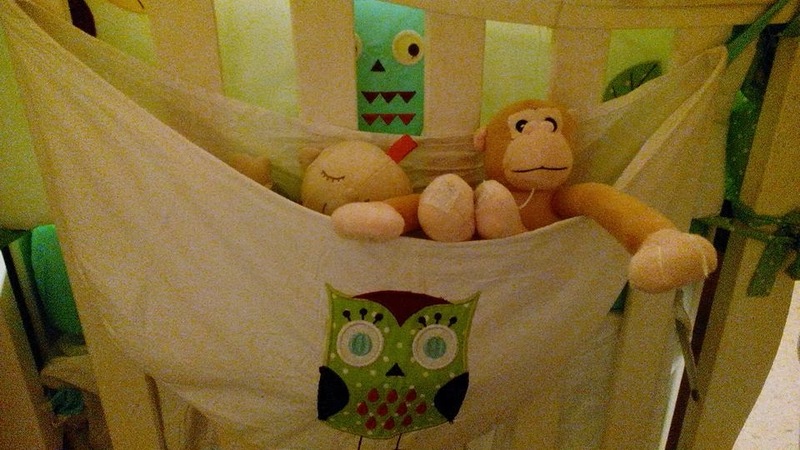 We just love the toys and lullaby for our son. Other matching accessories are sold separately. You can view the matching accessories at beyondbedding. 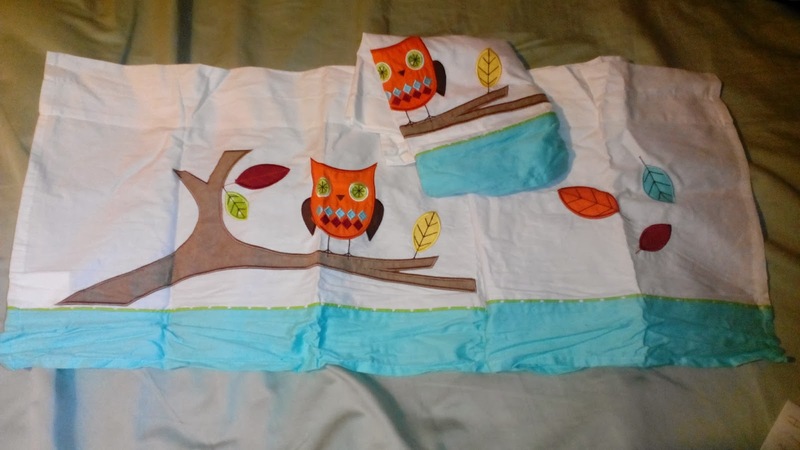 Turquoise and lime hooty owl baby bedding 9 pc crib set retails for $189.99. To view or buy it at Beyond Bedding. You can browse around for other bedding's or buy at www.beyond-bedding.com. Not only do they sell quality bedding's. Beyond Bedding offers $7.95 flat rate shipping to the U.S. Beyond Bedding regularly releases new baby bedding sets designs, such as chevron baby bedding, nautical baby bedding, and other modern crib bedding styles. They also offer made to order bedding sets and custom teen & toddler bedding designs. Beyond Bedding offers great deals and monthly contest on Facebook. 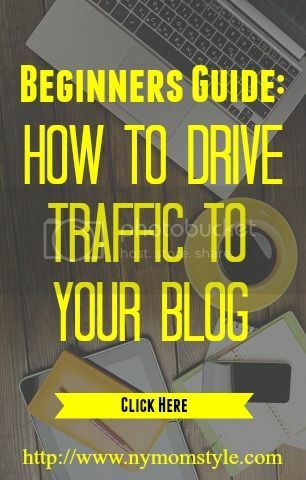 Like them on Facebook and stay connected on Twitter for great tip ideas. 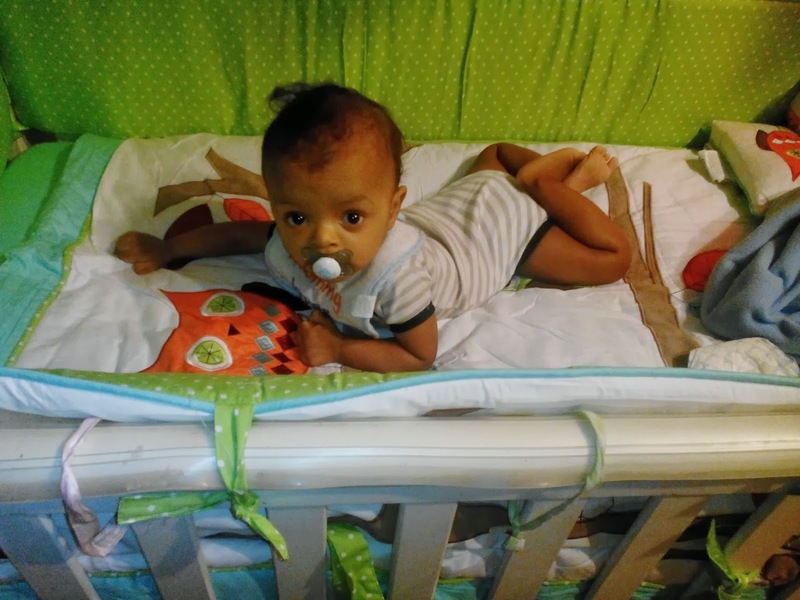 That crib set is adorable. I love owls! Your boy is adorable! I love the set you picked - especially the owls! What a beautiful bedding set! Owls are so cheerful and they brighten up any room. I LOVE that bedding set! The color combination is beautiful and I love owls!! That looks like a really nice nursery set. very pretty, love the print. So so versatile and great for unisex too! This crib bedding is just adorable! I have a serious obsession with all things owl right now. That bedding is absolutely adorable!! So cute! How cute, the owls are adorable! This bedding set is beautiful. Love the colors. SO COLORFUL! Its looks great and he looks like he is really enjoying it! :) I need a new set for my little guy! I will have to check out Beyond Bedding!